Every Mommy has a story. This is my opportunity to recognize these Moms and their experiences. 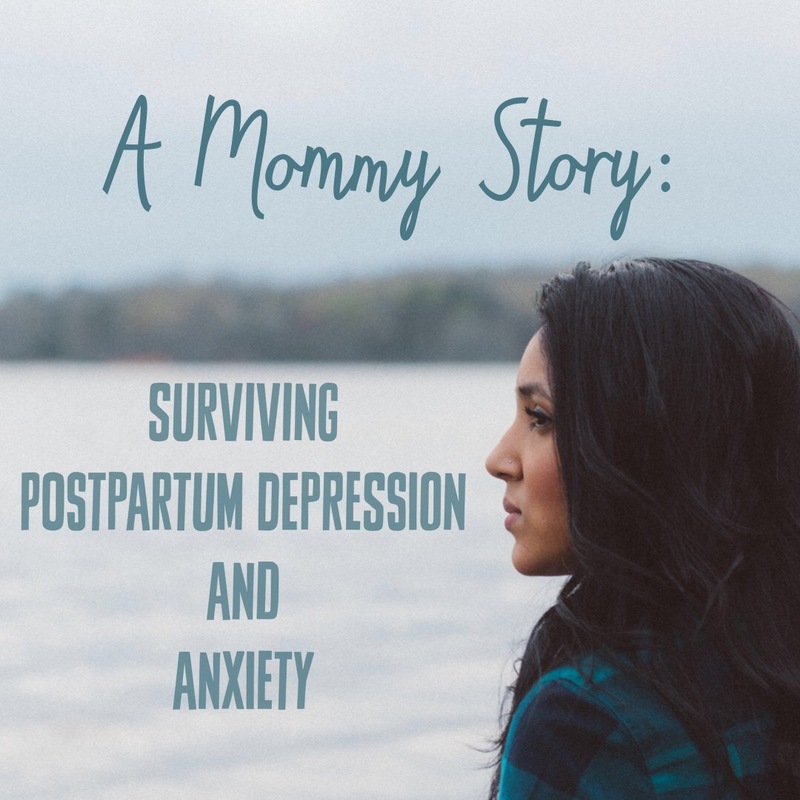 In this post, I wanted to feature another mom suffering from Postpartum Depression and Anxiety. Both can look and feel differently for each mom. How we think and react can vary. Therefore, there is value in showing the experience from another mother’s point of view. The first mother for the series is Dawn who has since recovered. She has valuable insight, and is willing to share how her experience and motherhood has changed her life. Hers is a story definitely worth telling. My name is Dawn, I am 42 years old and I have a 14 month old daughter. She was born a week before our one year wedding anniversary. She was about 3 weeks early, and born via C Section due to being breech. Her delivery was uncomplicated and I healed quickly. I had a full-time, high-powered career in educational leadership, and had every intention of returning to work when she was 6 months old. I have a history of mild anxiety, and have always been able to manage it without medication, seeing a therapist as needed. Until my PPA/PPD hit, I had not needed to see one in several years. I had no history of depression, but it does run in the family on my father’s side. My symptoms started as mild baby blues. Suddenly, I was very anxious, and nervous to be alone even though I had cared for babies my entire life in one capacity or another. These feelings progressed to incredible, deep sadness and thoughts that I had ruined our lives by having a baby. It was about 10 days postpartum that I started to have intrusive thoughts that hit me like a ton of bricks and brought me to my knees. I was having images flash through my brain of my daughter dying in many different ways, and I was scared to be alone with her. I was also incredibly sad. I could not stop crying, and the added stress of unsuccessful breastfeeding made me even sadder. I kept waiting for the blues to pass, but they didn’t. I felt like I didn’t want our baby, and that I would give her back if I could. I was unable to connect with her. Even though I loved her, I felt like I wished she had never been born. I wanted to go back in time and undo the decision to get pregnant. My Postpartum Anxiety was far worse than the Postpartum Depression. I was so anxious that I could not settle down. I lost the ability to eat, and food tasted like dirt. I had constant, intrusive thoughts about my daughter dying; I could not sleep no matter how hard I tried. About 3 weeks after being home, the vomiting started. Without warning, I would throw up or dry heave repeatedly. I could not keep food down and I had no appetite. I lost all of my pregnancy weight and then some in a mere 6 weeks. I knew something was very wrong once the intrusive thoughts started. A friend had warned me about her experience, so I read a couple of articles and realized I had nearly every symptom. I told my mom and husband what was happening. My mom had me call my OBGYN, who suggested the Sharp support group, therapy, and offered medication. We discussed my options, decided I would try support group and therapy first, then medication if needed. I went to a local support group and was met with kindness and empathy. I took the screening tool and was approached by the counselor afterwards about resources. By that time, I had also reached out to my former therapist, who referred me to Dr. Leslie Craig, a peri /postnatal psychiatrist. Dr. Craig recommended that I immediately start medication. She was amazing and assured me that these feelings were temporary and that I would get better. Treatment included sleep medication so that I could rest and heal, anti-depressants and anxiety medication. Dr. Craig helped me explain what was happening to my spouse and my family, so that we could all develop a sleep plan that would allow me to use medication to fall and stay asleep for at least 6-8 hours. The medication doesn’t work nearly as well without sleep! By this time I had also quit nursing, as complications and continuous pumping were causing me a great deal of stress. I actually left my home 4 nights a week to sleep at my parent’s home nearby, while my husband took nights with the baby. Twice a week, my mom would take the baby so I could sleep so my husband and I could rest together. I hated leaving her to go to sleep, but I knew I had to do everything I could to get better. I was a tad slow responding to medication, so it took a number of visits to find the right dosage. I ended up on a high dose of medication and began feeling some relief of symptoms about 8 weeks out. I found further comfort through meditation, prayer and my faith in God. I was stable and considered in remission when Grace was about 6 months old. The advice I have for moms is to seek help RIGHT AWAY. Don’t wait for things to get better on their own. You can’t do this alone, and its ok to admit that. You have the right to enjoy your baby; Being a mom is an AMAZING gift. Your brain will lie to you and tell you things like you’re not worth it, you don’t want your baby, you ruined your life, you are a terrible person, etc. Be honest with your care providers so that they can help you. Include your spouse in your education and journey. It’s very hard on them too, and they need to be educated about how to support you, and they may also need their own support or counseling. I want all moms to know that this illness is temporary and YOU WILL GET BETTER, I promise!! My daughter is 14 months old, and I am almost completely tapered off of the medications I was taking. I am no longer in therapy, and I am completely healed. I could not love being a mommy more, or be more confident about our decision to have a child. I adore this sweet baby girl. I had a very busy, high powered career and I planned to return after 6 months off. Now I’m a full time stay at home mom and I love it. I hope to be home until she is 2 or 3, and then find full time work in my field. My husband sought some counseling to support him through my journey and with his feelings afterwards, which was incredibly helpful. I was his “person” and I disappeared inside myself for about 6 months. He needed someone to talk with, and it couldn’t be me at that time. We are closer than ever having gone through something so serious so early in our marriage. I couldn’t imagine my life without my daughter. I sometimes get sad about what I went through, and the memories I’ve lost due to being ill. But, I have photos and people around to remind me that I WAS there, I took care of her, and most of all, I loved her even when I was at my worst. I was stronger than I knew I could be, and I made it to the other side. You will too. I had a very similar experience with postpartum anxiety and OCD/intrusive thoughts. I can also say that it does get better, with a lot of support. I feel like I was cheated those first 6 months as I missed out on the happiness. Thank you for sharing your story, check out my blog for my postpartum story. This is such a great post.. such an honest story… I praise you for being so opened about it.. Yes both Dawn and I are really open in hopes of helping others ! I have suffered from both postpartum depression and anxiety after my pregnancies. It’s tough stuff, but my symptoms were a bit different. I think it’s important for moms to continue sharing their experiences about these unwelcomed health issues because it helps other moms notice if something isn’t quite right in their lives. I thought your interview was so insightful; thanks so much for sharing it! Yes, I agree. I’m sorry to hear you suffered! It is so important to spread awareness of PND – unfortunately it is such a taboo subject. I suffered from PND after the birth of my first child and getting help was the best thing that I did. Yes agree! I’m sorry to hear you suffered. I had PPA too and with my son PPD. It was so difficult but so many woman go through it. Thank you for sharing your story. I’m so glad that you were able to get through it! Thanks for sharing as well. I’m sorry that you suffered, but you’re right. It is common. Thanks for sharing these important stories! Having mental health articles readily available helps people get help! Yes, I’m definitely going to continue the series! How courageous to so honestly share such a heartbreaking period in one’s life. As you know, mental illness, whether brief or long term, is still held with such a judged view by many people in society. It is great that your site puts these realities out there, and with blunt truth. Knowing that others have been there is often the only way for a person to see there could be a way out.. Thank you. Thank you! Could not have said it better myself! Lovely post. I suffered POD on top of bipolarism and an anxiety disorder. It’s a hard thing to get through! I’m so sorry you suffered. It’s definitely tough. PPD/PPA . with a person i love and i was not extremely familiar with PPD/PPA . It’s good to know that it helped you understand ! What an inspiring post! It’s such a hard journey but we can get through with support of family, friends and a medical team (in my case anyway:). Thank you so much for sharing. So often people don’t realize how subtle PPD can start and so miss the warning signs (I did) until they’re in full critical mode. Completely agree – I had to do the same with my recovery. I’m so glad this mama got help. Thank you for this series and bringing these very real and all too common stories to light. This is an incredible story. Postpartum depression and anxiety are serious conditions that affect the mother and child. I am glad Dawn was able to receive the help she needed. Getting help is important. I didn’t have PPD, but I suffer from anxiety. Luckily it’s not severe and I am seeing a therapist for it, which definitely helps! Yes! I’m glad you’re getting help. Wow! This is such a compelling article! I truly appreciate you sharing this, as I was not extremely familiar with PPD/PPA being so serious! I’m so happy to hear that Dawn is doing a lot better now! It’s so important for awareness to be made about mental health (in any form) because it does affect a lot of people silently. Yes completely agree, it’s so important! I had postpartum depression with my first daughter and I let it go for two years. It didn’t help that she was so high maintenance–I was a mess. She never slept, she had to be held constantly, and within her first two weeks of life, she was put into Children’s Hospital for a week! My only regret is that I let the depression go for so long, so I agree with your advice about getting help as soon as possible. It’s ok to admit to needing help and know that it’s not forever. You are so brave to share. Don’t feel bad about the length. It’s so hard to ask for help when you’re suffering like that. You had a tough experience. Thank you for sharing this honest story! I know that it will be helpful to many who are dealing with similar feelings. Spreading awarness is so important to reduce stigma around mental illnesses. This was such an inspiring read. I am sure you have impacted so many readers around the world. Keep writing such amazing articles!